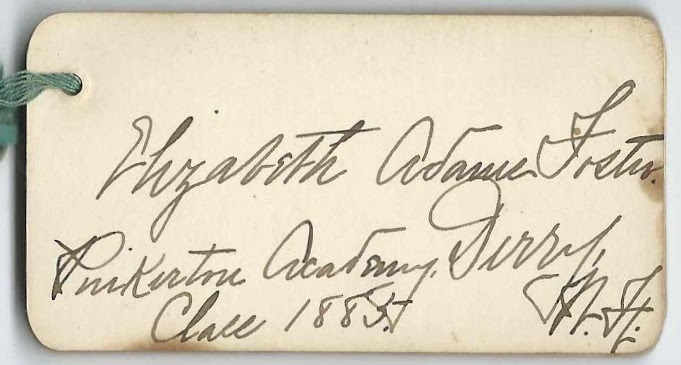 1880s homemade autograph album that features 21 calling-card-sized pieces laced together. A few cards are inscribed on both sides, for a total of 30 well wishers. 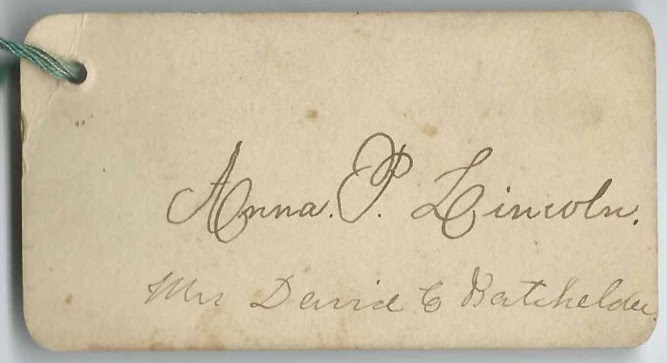 Anna P. Lincoln, who inscribed the top card, or the top card still present, may or may not have been the owner. A later note indicated that she had married David Batchelder. The middle initial looks like an E or a C, but most records show that Anna married David L. Batchelder, Jr. The owner, presumably, added a note to another card, that signed by Sarah Blood. 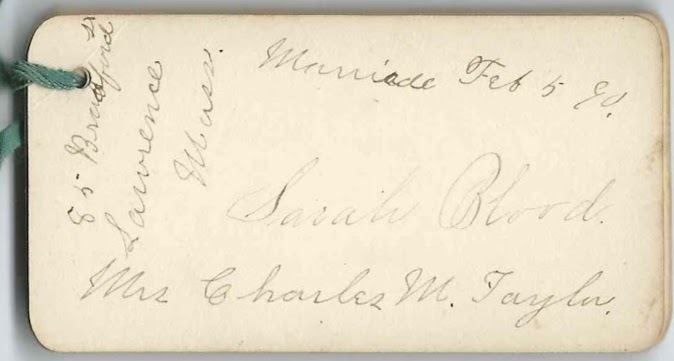 On February 5, 1890, Sarah married Charles M. Taylor; their address was 85 Bradford Street, Lawrence, Massachusetts. Mamie Campbell, signed at Pinkerton Academy at Derry, New Hampshire. Class of 1885. Nellie Crowell; middle initial could be I or A or C or ? Caroline M. How of Derry, New Hampshire. Pinkerton Academy. Anna P. Lincoln, with the name Mrs. David E. Batchelder or David C. Batchelder written below it. 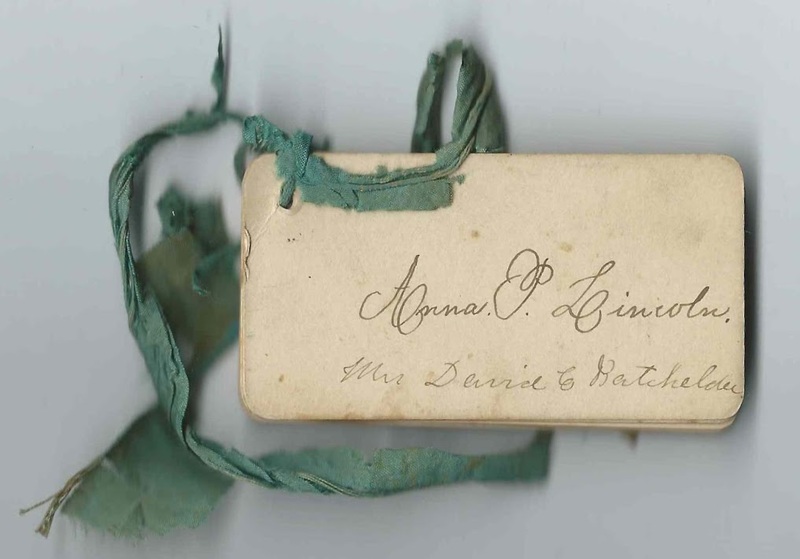 Anna P. Lincoln married David L. Batchelder, Jr. Perhaps he had a nickname that began with E or C.? Possibly the album owner.